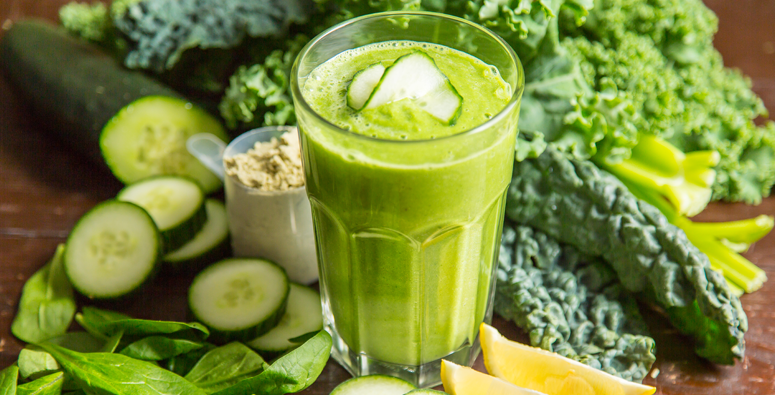 This morning-after-the-night-before breakfast smoothie is a delicious and restorative way to replenish your body. Super simple to throw together, it can be made into a smoothie bowl, or simply drunk straight out of the glass – and makes a refreshing variation on all the water you’ll no doubt be downing. As alcohol is massively dehydrating, your body will be craving all the minerals and electrolytes lost through your sweat (and pee) on your night out. Raw coconut water is better than any Lucozade or Gatorade you might be tempted to reach for. Packed full of magnesium, sodium and potassium, it also contains fructose – as alcohol turns your body’s glycogen stores into glucose. And as so many of these essential minerals are lost through your urine and sweat we are often completely exhausted the next day, despite having slept for hours. This rescue remedy also includes ginger and mint, known to ease the digestive process. It contains avocado, full of healthy energising fats and magnesium, as well as lemon juice and apple cider vinegar to kick-start your metabolism, helping all the nutrients absorb as quickly as possible. The addition of oats not only helps soak up any remaining booze, but also is particularly beneficial as they contain the amazing amino acid cysteine, which breaks down the hangover-causing toxin acetaldehyde produced by our livers. So why not plan ahead before partying on St Patrick’s Day? Place in a bowl and top with some of your favourite muesli, granola or any anti-oxidising berries you have lying around – such as goji berries as pictured.